Bored with your apps, looking for something new? Check out these 18 apps that were just released. 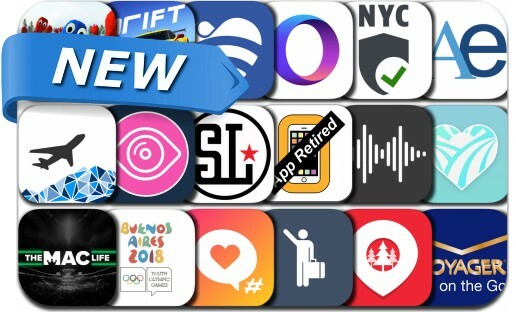 Today’s batch of new apps includes Opera Touch, Ahaa!, Drift City, FR Legends, Numpuz: Classic Number Game, Get Likes with Social Tags, hearshot - Sound Messaging, RV Life and many others. A game we’ve always played. Take a picture and trace what you see in your surroundings; clouds, art, nature,or anything you like. Share your imagination and see what others see.